Ajinomoto Philippines recently held a presscon at Madison 101 Hotel to announce their newest product, Sarsaya Oyster Sauce endorsed by ABS-CBN actor, Coco Martin. 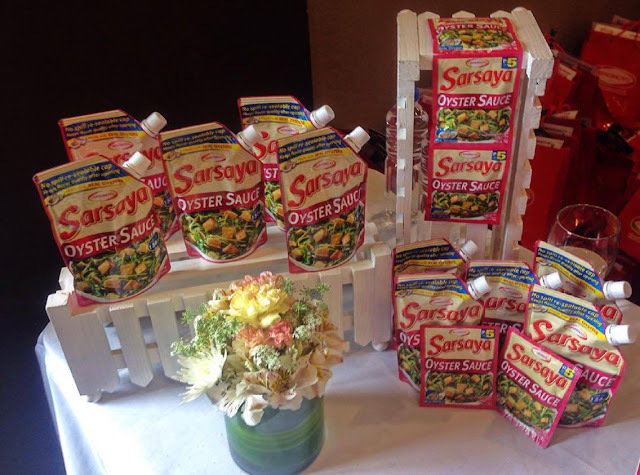 “Sarsaya® Oyster Sauce is a unique brand of oyster sauce that is created to suit Filipino taste and preference, making many Filipino dishes like ginisang kangkong and adobo more flavorful and delicious.” said Pen Alvina the Category Manager for Menu Seasonings at Ajinomoto Philippines. There's also a a live cooking demonstration and cook-off during the event, facilitated by Chef Mcrhyan Rodrigo. Chef Mac cooked Filipino favorites Ginisarsayang Kangkong with Tokwa and his own recipe, Thai-style Stir Fried Chicken using Sarsaya® Oyster Sauce. Primetime King Coco Martin is the perfect celebrity to endorse Sarsaya® Oyster Sauce because aside from being a big fan of his grandmother’s cooking, the Kapamilya actor graduated with a degree in Hotel and Restaurant Management. “Kakaiba dahil lasang oyster na oyster,” Coco Martin said. 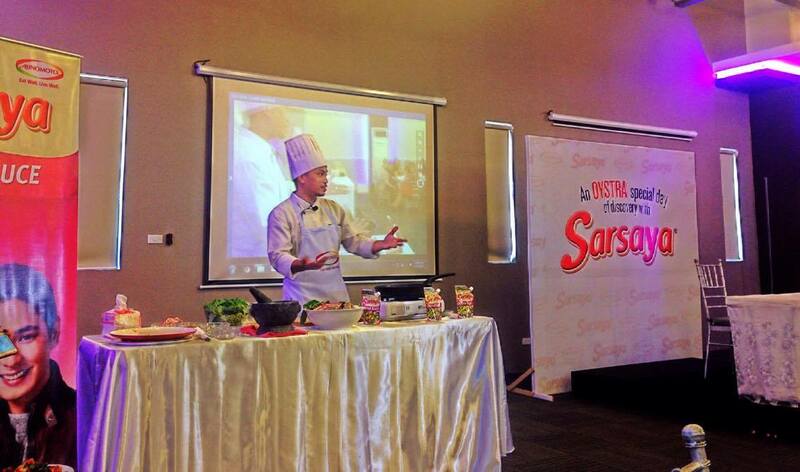 The actor loved how Sarsaya® Oyster Sauce can add that delicious and authentic oyster flavor that truly enhances simple dishes. Ajinomoto Sarsaya® Oyster Sauce is available in 30g pack and 156g stand-up pouch. Also try Sarsaya® Sweet and Sour Sauce, available in 200g stand-up pouch, for a delicious blend of pineapple and tomato flavor. Ajinomoto Philippines Corporation (APC) is an affiliate of Tokyo-based Ajinomoto Co., Inc. Established in 1958, APC lives by its promise to provide consumers products that will always give the delicious taste to healthy and nutritious meals as embodied in APC’s slogan Ajinomoto® “Eat Well, Live Well.®” APC’s complete line of quality food and seasoning products are produced by international affiliates and local toll manufacturers using Ajinomoto’s license, quality standards and technological expertise. APC’s products include AJI-NOMOTO® Umami Seasoning, Ajinomoto® Brand Ginisa Flavor Seasoning Mix, AJI-SINIGANG® Cube, Ajinomoto® Brand Chicken Powder, PORKSAVOR® All-in-One Seasoning Mix, CRISPY FRY® Breading Mix, CRISPY FRY® SEASONED CRUMBS®, TASTY BOY® All Purpose Breading Mix, AJI-SHIO® Seasoning Mix, SARSAYA® Oyster and Sweet and Sour Sauce and “amino Fres-C” Instant Drink Mix. You might try adding a video or a pic or two to get readers interested about what you've written. In my opinion, it might bring your blog a little livelier. I am going through problems with your RSS. I don't know why I cannot join it. Is there anybody havіng identical RSЅ problems? really understand what you're speaking about! Bookmarked. I surprise how a lot effort you place to create such a fantastic informative website. Your favourite justification seemed to be on the internet the easiest factor to consider of. the moment this time I am visiting this site and reading very informative articles or reviews at this time. blog blogger but I'm still new to the whole thing. Do you have any helpful hints for newbie blog writers?